Amroth is a lovely coastal village that nestles into the south tip of Pembrokeshire, West Wales. As it lies conveniently near the resort town of Tenby it is an excellent alternative base camp for those who want something a little more tranquil, whilst offering a vibrant and cosmopolitan destination for daytime jaunts. It’s a big advantage to have your own space on the beach and in the local restaurants but still be a hop skip and jump from busier nearby resorts. Amroth is well known for its long award-winning beach, which stretches the length of the whole village and is perfectly equipped for families with children. Most of the shops and eateries are near the beach and there are plenty of water sports available while the kids can spend hours fossil combing and rock pool exploring. Other alluring attractions include the local castle remains and Colby Woods and Gardens, an oasis of tranquility and flowers. 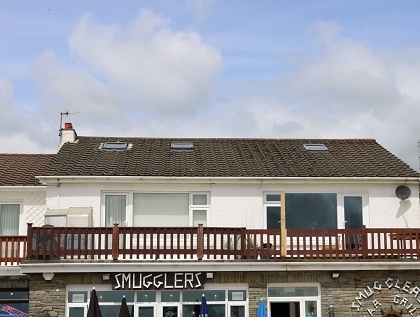 The self-catering Amroth cottages listed below include pet friendly cottages near the beach and child friendly cottages perfect for family holidays in Pembrokeshire.